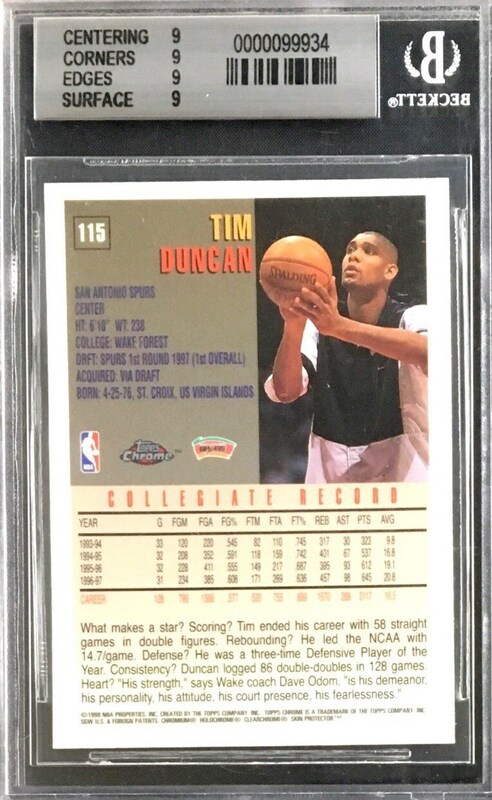 Up for your consideration is a 1997 Topps Chrome #115 Tim Duncan Rookie card. 1997-98 Topps Chrome applies a chromium finish to the base Topps design. 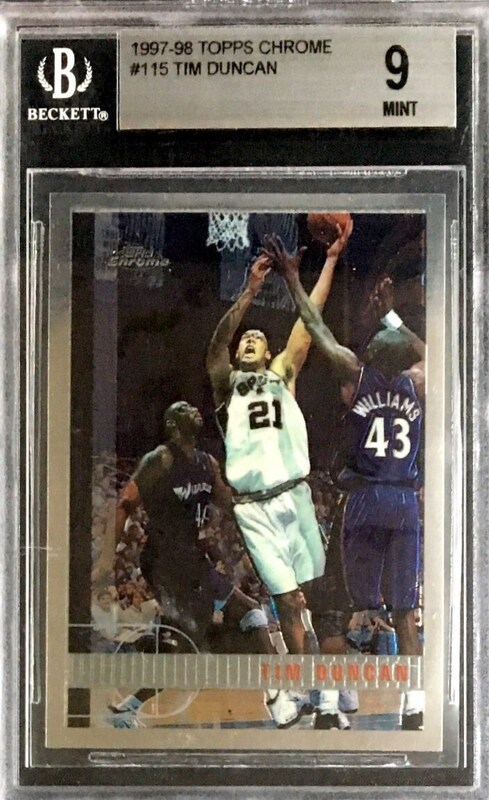 It is one of the most sought after Duncan Rookies. Presented here is a BGS 9 example that displays wonderfully.